Hi guys Amanda here from emphasize and I just want to do a quick review and our new Grande lash ND eyelash serum now. This is a 2 milliliters serum which should last you about three months now what it is is a vitamin peptides and amino acids which also has conditioning ingredients to promote longer lashes now you can also use this in conjunction with eyelash extensions and it's not going to harm them in any way but it is going to help them last longer now you can purchase this separately that's ninety nine dollars or you can purchase it in this triple kak which comes with your mascara liquid eyeliner and the nightly serum as well now the mascara wand is your normal star mascara wand should take much the product off it also has the amino acids peptides and the conditioning treatment in my stone is. Waterproof and the liquid liner comes in a felt tip pen which is easy to apply make sure you keep the lid on it tight and give it a good shake a little ball bearing in there now three of those together is 199 now also i'll be doing this vlog every week. Could i'll be using these products just to show you how well it works and at the moment all i have on is the mascara now i'm also trying out skinceuticals family and / Alec which is a morning serum that protects you against sun damage and it all came with this R is very tall be e which is me from skinceuticals which is a nighttime treatment and that helps with anti-aging and helps fight against skin damage I'm also testing our retinas I'm starting with the number 3 t.o at the moment which is the medium strength we're using that twice a week at night which is also an anti-aging and also helps fight the skin sun damage on the skin and I was lucky enough after purchase these two things from adore beauty I was lucky enough to get this little pack of these items free. I'm also testing out this face and body scrub which is a massive size. Okay, with the Avene or dismissed which is just a lot of spray which is nice in the summer heat this clinic little moisturizer is the nighttime moisturizer which i'll be using in conjunction with these items and through the day they ASAP put in a chest rising daily defense uva UVB protection of 50 which is good we museum with these products a little tub of moroccan oil for the hair. This is a really big size that should last quite a lot and last but not least is a little eye serum from alpha house which is cucumber and vitamin B which on testing moment as well. I'm testing all these items. I'll give you an update every week but obviously the star of the show is these new products and. This is the main thing we'll be testing see how well they work now I only have three eyelash extensions on at the moment because mine were done Kim Joon because I knew this product is coming and I wanted to test it without eyelash extensions first and then I'll be testing up with later on. That's it for me thanks for watching and I'll talk to you next week like you good thing you do it or not. 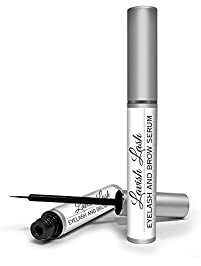 Okay, hi guys Amanda here Oh nope doing well I did with mine oh go lower nope not hi guys Amanda here from emphasize and I just wanted to do a quick review for you on the new Grand Ledge or grande lash I think called md eyelash serum good now. 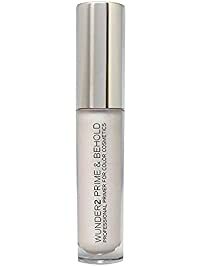 This is a conditioning serum it comes in a little two millimeter to nil early yeah I don't have a two minute son of a boomer hi guys man to hear from emphasize I just wanted to do a quick video review on new products that we have in store at the moment called brain day lash and deep now. This is an eyelash conditioning serum which helps the eyelashes grow and my video tech is laughing at me doing my guys many hear from emphasize and today I wanted to do a quick review take his laughing at me and do a quick review of the new Grand a lash ND that we have in store at the moment now it's an eyelash conditioning treatment that you can use in conjunction with your eyelash extensions which will help them last longer and give you full of lashes as well now. 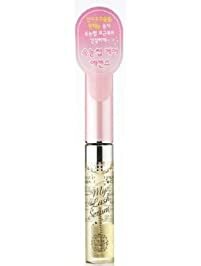 This is the grand serum it comes in a little wand and it comes in a little tube like this and that's is what it looks like inside they put that on at night just like you would a eyeliner and that stimulates your hair follicles and within six weeks you should notice a marked improvement in the length and thickness of your lashes and in about three months which is how much this tube should love how long this cheap should last you should see full oh my first no oh my god. Latisse VS Grande Lash MD!